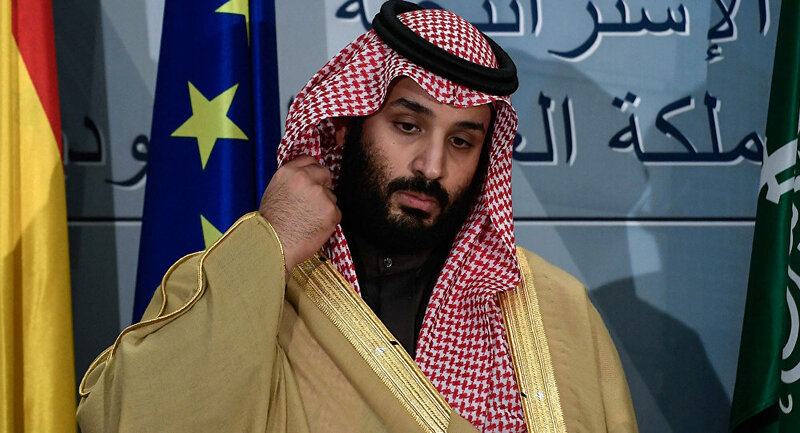 Saudi Crown Prince Mohammed bin Salman was behind the alleged murder of journalist Jamal Khashoggi, a former chief of British intelligence agency MI6 said Friday. Speaking to the BBC, Sir John Sawers said the theory that rogue elements in the Saudi military were responsible was “blatant fiction”. Sawers’ comments follow remarks by U.S. President Donald Trump that Khashoggi was presumed dead and the consequences for Saudi Arabia would be “severe” if Saudi leaders were found to have ordered his alleged murder. “I think President Trump and his ministerial team are waking up to just how dangerous it is to have people acting with a sense that they have impunity in their relationship with the United States,” Sawers said. Sawers underlined that the “rogue elements” theory of the journalist’s death “simply doesn’t hold water” and that it “further undermines respect for America when it panders to such blatant fiction”. “The level of detail that is coming out from Turkish security sources is so clear that some form of tape must exist,” he said, praising Turkish intelligence services’ work on the case. Meanwhile, British Foreign Secretary Jeremy Hunt said there would be “consequences” that would affect British-Saudi ties if Khashoggi was murdered in a brutal way in the Saudi consulate in Istanbul. Hunt said the suspected killing of Khashoggi is “completely unacceptable” for the UK. However, he also signaled that Britain’s response would be “considered” towards an ally in the battle against terrorism and with which it has multi-billion pound arms contracts. “Let’s be absolutely clear: if the stories that we read about are true, and if you are asking me whether that will have consequences for the relationship with Saudi Arabia, then, yes, of course it will because what is alleged to have happened is totally inconsistent with our values...not just the brutality of it, if it happened, but also the fact that he was a journalist,” Hunt said, speaking to the BBC. Hunt said the UK’s “relationship with the Saudis is a strategic relationship as well”. “Our response will be considered... (but) in the end, if these stories are true, we have to be absolutely clear; it would not be consistent with our values,” he added. On the same day of Khashoggi's disappearance, 15 other Saudis, including several officials, arrived in Istanbul on two planes and visited the consulate while he was still inside, according to Turkish police sources. The investigation into Khashoggi’s disappearance continues.